With the semester starting I figured I would share some of my finalized work from the summer. I got some good feedback from Bert at Dreamworks and thus have some things to update on my reel before kicking it out the back door. Alas, to the pretty pictures! 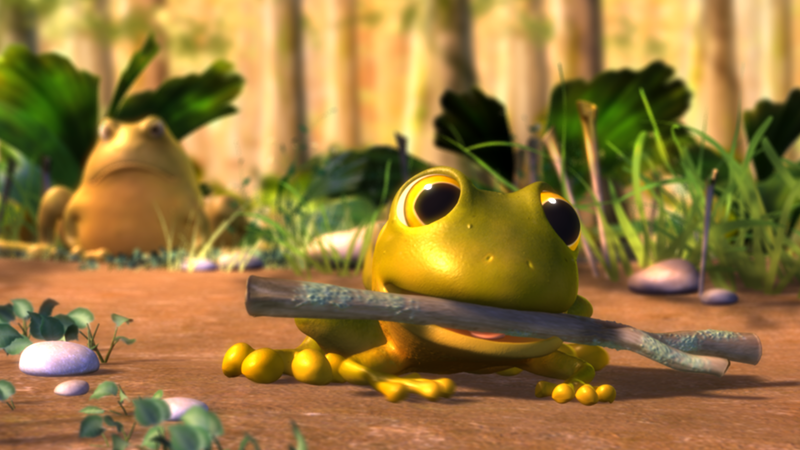 The first is a high resolution render from the short. The second is the same scene with some creative lighting I did over the summer. As you can see - I’ve learned a ton from lighting Tewts. The image has a whole lot more depth and it’s easier to read the characters. My shaping is a bit better and I’ve used some techniques I picked up from looking at stills of Toy Story 3. 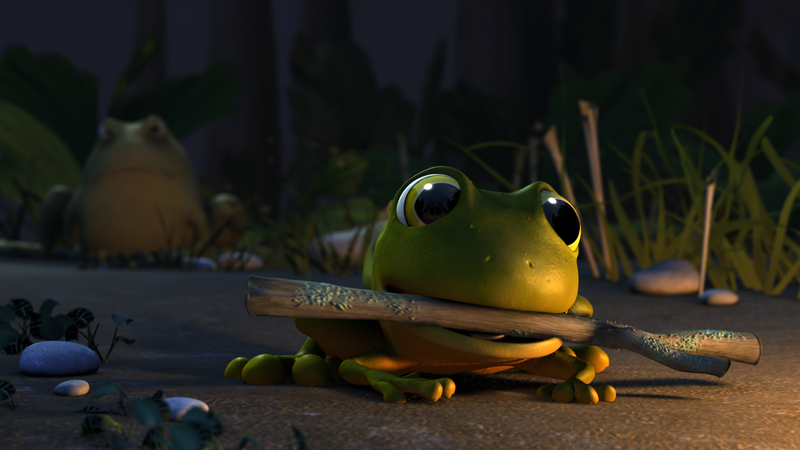 What I like most is that the lighting in the bottom frame is used to show of the character of the frog and tad. The tad is shown as being warm and friendly, whereas the frog has direct overhead lighting that shows dark circles under his eyes making him look evil and sour. I also like that I could use the throw of the firelight to give the frog some very subtle shaping across his front. Ultimately I will be going back and making some changes on the day frame to match the quality of the bottom one. I hope to have a nice foggy render soon that shows I can work from strong reference as well. This, combined with my other strong compositing work and a shot lit from a paintover, will hopefully be enough to snag that much sought after job in California. This entry was posted Monday, August 30th, 2010 at 1:56 pm	and is filed under Animation, Gettin' Vizzy, Originals. You can leave a response, or trackback from your own site.